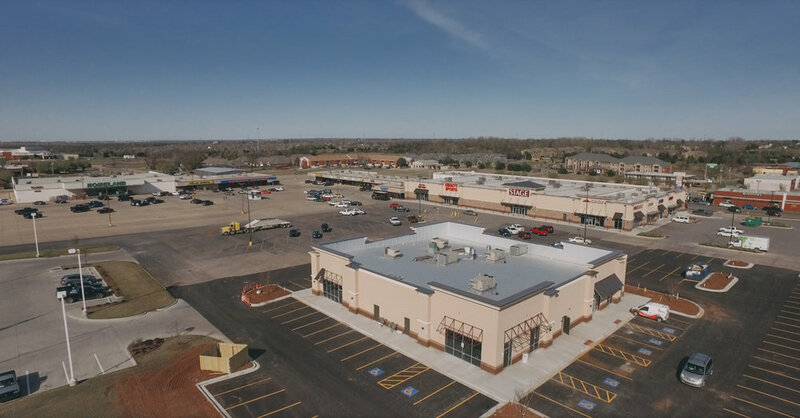 Located at the corner of Highway 152 and Mustang Rd, Mustang Trade Center is our exciting new redevelopment. We have completely remolded an old Wal-Mart Center, and it is now anchored by Stage Stores, and Hibbett’s Sporting Goods. We have started construction on our second phase which includes S&B Burgers, Jimmy’s Egg, and Orange Leaf. We have space available up to 5,800 SF. Please contact Chris Reed at (405)-837-8555 for more information.